Mediation is a form of alternative dispute resolution (ADR) in which a neutral third person helps the parties reach a voluntary resolution of a dispute. 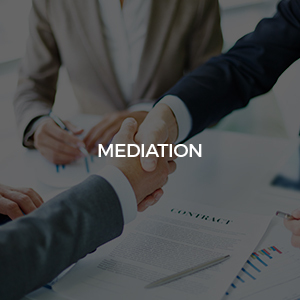 Mediation is an informal, confidential, and flexible process in which the mediator helps the parties to understand the interests of everyone involved, and their practical and legal choices. We help people resolve civil, family and other matters in a less adversarial setting. Mediation programs have been shown to save the parties time and money, improve satisfaction and reduce future disputes and offenses. While attorneys can be crucial in this process the benefit of using a social worker is the specialized training they have skills important in successful mediation like motivational interviewing, empathic listening, identification of clients’ goals, evaluation and crisis intervention. They are trained to de-escalate tense situations using their knowledge of human behavior and positive communication skills. Call and Ask us if this is right for you.